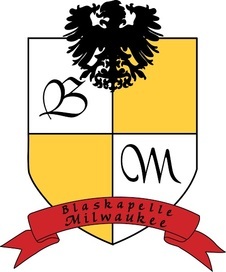 Blaskapelle Milwaukee Homepage - Welcome to Blaskapelle MKE's homepage! Blaskapelle Milwaukee took 2nd place out of 167 nominees in the "Best Local Band" category for the Milwaukee A-List Awards! "The music is on beat, peppy and authentic!" - Charleen C.
Blaskapelle Milwaukee was Cascio-Interstate Music's Band of the Month for September 2016! If you have any questions be sure to email us.